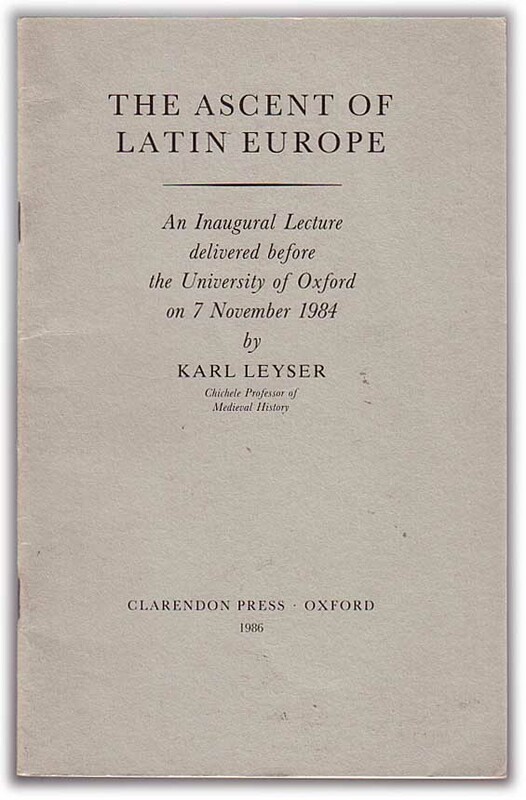 The Ascent of Latin Europe: An Inaugural Lecture delivered before the University of Oxford on 7 November 1984. Published Oxford: Clarendon Press, 1986. Binding: paperback pamphlet, centre stapled. Overall condition good: this copy has some marks and creases on the covers, not too severe, a little wear on the edges and corners; looks in good order internally, text appears to be free of marking. Contents: discusses the relationships between the processes of European expansion in the tenth and eleventh centuries, and the historians who wrote about them, with particular reference to Adémar of Chabannes, Rodulf Glaber and Thietmar of Merseburg.